It is a common thing to experience Google login or connection problems.Sometimes, you just cannot log into or connect to Google. In some cases, it is only Google that cannot be accessed – you will fail to access your Gmail account or use Google Search. In other cases, you will also fail to use Yahoo Search as well as many other sites. When you try to log into Gmail or use the Google Search bar, you get the message or error “Connection has Timed Out”. This problem will occur on all browsers on your computer, whether it is Firefox or Internet Explorer. No matter which browser you use, you will not be able to log into Gmail or access Google Search. Your first thought might be running a virus scan on your PC using anti-virus software like Norton but the program will find nothing wrong in your system. This problem can prevent you from accessing your Gmail account for many days because you will not be able to log in. If you have set your Gmail account to forward e-mails to another email address, for example, a Yahoo address, then you can access all your emails via this address. Just in case your Gmail fails to open, it is recommended to forward your emails to a secondary email that is not Gmail. This solution is what worked for me.You might have a different problem than mine.When your computer Hosts File (C:WINDOWSsystem32driversetc) is infected by some spyware or virus, it will have its entries altered. In this case, you will see several entries that have been blocked by your computer. These entries are websites that have been blocked by your computer and therefore you will not be able to access them on your browser. As you can see in the file below, there are several entries from Google that have been blocked including entries from other sites such as Bing, Yahoo, Live and MSN. Save a backup of the file, and then remove all the blocked entries. Save the file when you have removed all the entries, and you will be able to access all the sites again.If you find nothing wrong with your Hosts File,then you should diagnose other potential causes for failure to connect to Google or Gmail. If cookies for Google and third party websites are not enabled on your browser, you might fail to connect to Gmail or log in. To enable the cookies for the websites, you must go to the Firefox menu, then click the [Options] tab, then go to [Privacy].Under the “History” heading select [Firefox will: Use Custom Settings For History].Tick the boxes for the following fields – Remember My Browsing History, Accept Cookies From Sites and Accept Third Party Cookies. Go to [Exceptions].A small window should pop out. Type “google.com” without the quotes in the top bar – address of website, then click [Allow] at the top right hand side.Thats all. You have enabled cookies for Google. Click [Close] to close the pop-out window. Finally click [OK] to close the Options window. If the status for the website in the exceptions list is “Block” then you must select the site and click the “Remove Site” button at the bottom. As you might know Gmail is a very convenient way of sending and receiving mail online. However when you are having connection problems, you will not be able to access your mail and this may be frustrating and counter-productive to your goals. It is therefore important to troubleshoot the problems as soon as you can. Gmail can be accessed via the web browser e.g. Internet Explorer and Firefox or via certain applications that should be installed on your devices e.g. ipad, iphone, netbook and so on. If you suspect that your computer is the cause of the problem, then you might try accessing your Gmail from another computer. In most cases, you will find that you can access your mail from a different PC if the issue is not domain or server-specific. To test this, you might ask your friend or good neighbor to use their computer. If you cannot connect via the web browser, you should try logging into Gmail via email clients like Microsoft Outlook that are locally installed on your PC or office computer. 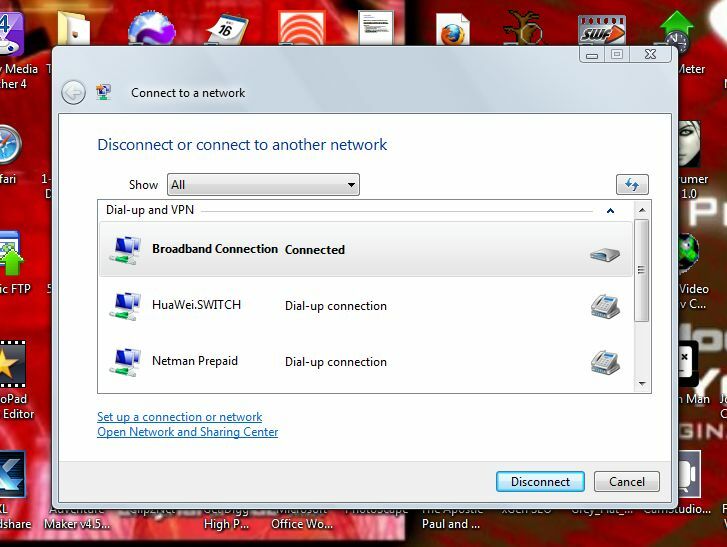 These permanent connections can solve your problems if you have a home computer or a secure laptop that is connected to internet. Even smaller email clients like Thunderbird and Zimbra can enable you to sign into your Google Mail.Nevertheless, you should make sure that the set-up and configuration of these e-mail clients is done appropriately or else you might encounter some connectivity problems that are associated with IMAP and POP3 settings. 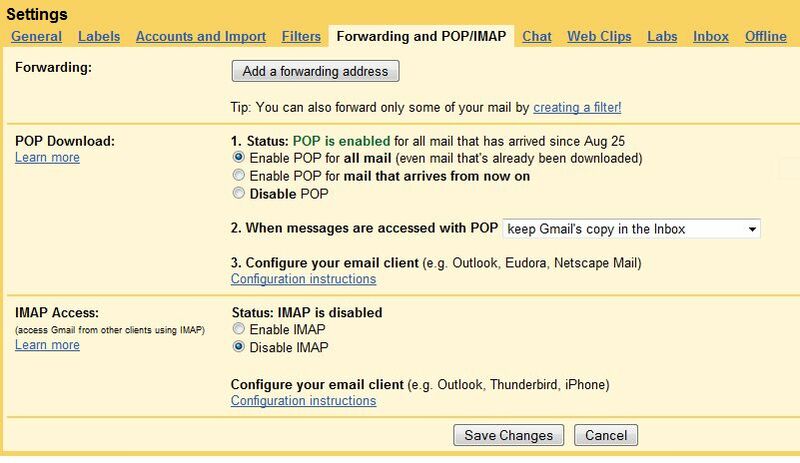 If you are setting up an e-mail client, you should read the specific instructions for correctly configuring the IMAP or POP3 for Gmail. Just because you can’t log into your e-mail through your computer does not mean that you have exhausted your channels. Your iphone is an individual gadget that has its own internet connection and separate from your PC or desktop. Therefore the problems that affect your PC will not affect your mobile phone. Sign into Gmail using your mobile phone. Although you have limited features on the mobile version, you will be able to check your mail and send or reply messages. If your internet connection is not working, then you will obviously fail to connect to G-mail or any other website. Always make sure that you are connected by checking your wireless network, Dial-Up and VPN connections. Also ensure that your internet connections are properly configured. To check your internet connectivity, check the small networks icon in the bottom right hand side of your screen. If the small icon has a red cross, then it means the internet has been disconnected. You can also go to Start and click [Connect To] to check the networks. Your network may either be connected or disconnected. If it is disconnected, connect it again by selecting a network and clicking [Connect].For a wireless internet connection, just right click the icon and choose [Troubleshoot] It should fix the problem automatically if it has something to do with the network being disconnected. If you still cannot load Gmail via these addresses, then you should try loading Google Voices. If Google Voices can load but the above addresses cannot, then the Gmail server might be down or your system might be infected with a virus. Google Mail sign in problems may have something to do with the configuration settings for your POP3 and IMAP email clients. Go through your settings and check for any misconfigurations, make sure that IMAP and POP is enabled. You should see the [Enable] boxes on your dashboard that must be ticked and saved. Also verify the configuration settings for the email client that you are using, e.g. Microsoft Outlook and make sure it’s correctly set up. Information for configuring a particular email client can be found on the Google webpage. This includes email apps like Apple Mail and Outlook Express. Passwords that are used by your email client may be the cause of connection issues since these are used to automatically to sign in your account. The client might be using the wrong password if this has been saved by the system. Check the accuracy of the saved password and enter/save a new password if you have changed it. Allow your computer firewall to accept Gmail.com.Modern computers have Firewalls that can block any program that tries to launch. Port 465 is a port that is often used for Gmail, make sure that it is not blocked by a firewall. You can also look for alternative ports that can be used to allow Gmail. Your work or company computer might be purposely using a firewall installed by your employer to block access to Gmail. This corporate firewall is often installed by the employer to restrict you into using a local email program that can be easily monitored. Solution 11 – Disable Ad Blocking Software. Sometimes, you might have a program on your PC that is blocking Ads from Google. If you had purposely installed such a program, then you should disable it or uninstall it to see if it will allow access to Google. Google Desktop is a gadget that can be downloaded from the Google gadgets gallery. This allows you to access your mail without using the browser. It supports basic functions such as composing emails and sending them. You can also search mail and mark messages with a star. The gadget can be resized accordingly to give you a wider view of your inbox. Just hit the keyboard shortcuts to launch it. You can hide the gadget or open it simultaneously from your Google Apps business mail and personal mail. According to the webpage, the program works with Google Desktop 5 and above for windows. Just at the bottom of the small window for this program, there are three links for [Search], [Compose] and [Sign In].You can click the blue arrows to go to the next page of your messages. Another access point that can be used to view your Gmail messages is the iGoogle platform. The iGoogle webpage shows all your gadgets as well as the custom search engines that you have created from your account. You can also enable chats, share gadgets, edit friend groups and receive updates on this page. The most important thing about this panel is that you can also view and read your emails. Just click “Gmail” on the sidebar to your left and the Gmail inbox will appear. There is a new feature for quickly viewing and replying to messages right from the iGoogle interface. To access iGoogle type www.google.com/ig on the search bar. Google Talk is another program that can be used to access Gmail. Download Google Talk and install it on your computer. The program can be launched on your computer if you are connected to the internet and you do not need a web browser. When the application is installed you should see the GTalk icon. Click this icon to view your emails. The following is a list of solutions that might work for you if there are errors loading Google or Gmail. First make sure that your browser is updated and no firewall is blocking the connection. Some of the website loading errors may be quickly solved by doing simple things such as re-starting or rebooting your computer. Make sure that there are no problems with internet connection. You can set Firefox to [Autoconnect] to the internet if you are using Dial-Up internet. If your browser is set to [Work Offline] you might encounter some issues with connecting to the internet. Go to [File] on your browser menu and uncheck this option. Firefox 3.5 and 3.6 will default / return to the [Offline Mode] after connecting, therefore it is recommended to upgrade to Firefox 4 and above. Check your browser settings for Firefox and compare them to Internet Explorer. If the settings are different change them and make them similar to Internet Explorer. The settings for Internet Explorer can be accessed on [Internet Options] and settings for Firefox can be accessed on [Tools > Options].When making the changes make sure that you remove or disable any proxy settings or IP program that you are running on your browser. These programs will alter and override your connection settings if not removed. Even after removing the program, you should check the user.js file for proxy settings that may remain unchanged. Completely remove this file or remove the settings inside the file. Some security software such as Symantec Antivirus and Norton can cause loading errors or interrupt internet access when you are updating your browser. The original Panda Anti-virus program is also known to cause connection issues. Security programs with web scanning abilities may cause random timeouts and page loading errors. These programs include Kaspersky and Avast among others. A website will also fail to load if there is a software that blocks IP addresses from certain websites. When a website gives loading error, the error might be cached on your browser and when you attempt to refresh or reload the website, the same error will appear again. To prevent this, you should press [Shift] on your keyboard and click the [Reload] button on your browser. Clearing the cache and cookies on your browser might solve your connection issues. On the Firefox 6 menu, go to [Tools] and select [Clear Recent History].You can also go to [Options] under Tools, then click the blue link “clear your recent history”. Under “Time range to clear:” there are five options to choose and these are [Everything, Last Hour, Last Two Hours, Last Four Hours and Today].In the details section, there are six areas to tick. These are the areas that should be cleared – Browsing & Download History, Form & Search History, Cookies, Cache, Active Logins and Site Preferences. To clear the Cookies and cache select these two options, then click the [Clear Now] button at the bottom. To clear cookies for the problem site that is failing to load, you should click the blue link “remove individual cookies”. On this form you should see a list of all the sites that are storing cookies on your computer. Scroll down and select the site e.g. google.com or gmail.com then click the [Remove Cookie] button to remove cookies for this individual site. Click OK and close the window. You might have Google toolbars or extensions that are installed on your browser. These may cause Gmail Sign in problems. If you are having login problems, disable the toolbars then try to log in again after clearing the browser cache and cookies. Other types of toolbars besides Google that are installed on your browser may be causing the problems. Yahoo extensions may cause problems when you are trying to log into Yahoo Mail. After removing the extensions, you must restart Firefox and see if your problem has been solved. When the above solutions do not work, you should check the cookies file that is located in the Firefox profile folder. When this file is corrupt, you will have problems trying to sign in your Gmail account and other websites. If the cookies file is corrupt, then it should be deleted from the folder. To access this file, go to [Help] on the Firefox menu. 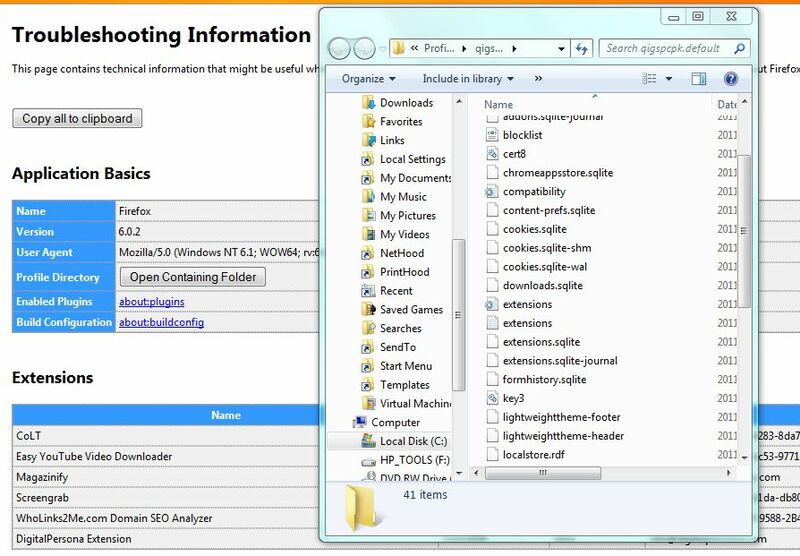 Click [Troubleshooting Information].Click the [Open Containing Folder] tab and delete the following files [cookies.sqlite] and [cookies.sqlite-journal].Restart Firefox and try to log into Gmail. Warning: Deleting these files will remove all your stored cookies. I cannot log into my Gmail account for the past 2 weeks. I have tried everything but nothin works. I am about to go crazy because there is some information that I should receive from someone.